Chick-fil-A Catering: How Many Does It Serve? We’ve all been there. You’re hosting a party, a meeting or after-school study session. Among the lengthy to-do list: plan the menu! 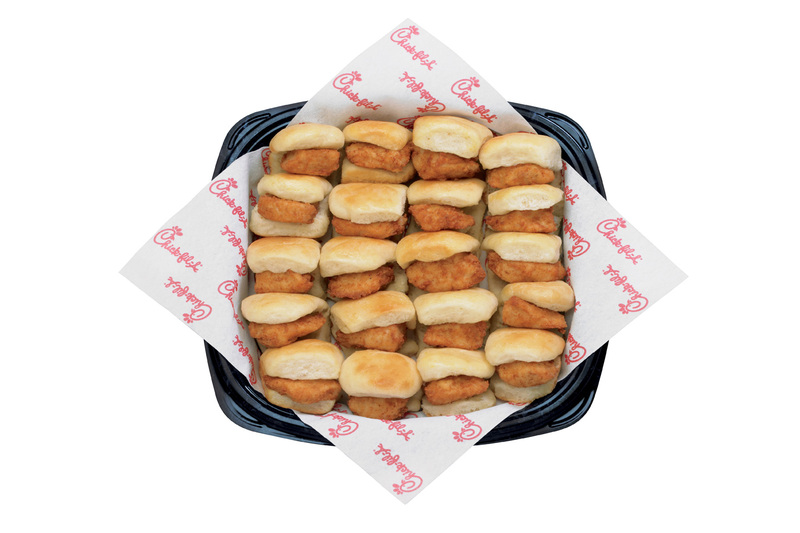 Because you’re the hostess with the mostess, you let Chick-fil-A handle the food. But how much food do you need for the group, and how do you decide exactly what to order from the catering menu? Use the list below as your cheat sheet to order just what you need for any get-together! To start the day off right, these bite-sized Chick-fil-A Nuggets nestled in warm, honey-butter coated mini rolls are the stuff of dreams. A few of these for breakfast makes anyone happier and fueled up to tackle the challenges of the day. Order one small tray to serve ten 8-year-olds at a sleepover. Order two large trays to serve 30 coworkers during a morning breakfast at the office. Regular and Decaf 96 oz. Coffee (a.k.a. survival juice for many of us) can be purchased as decaf or regular. 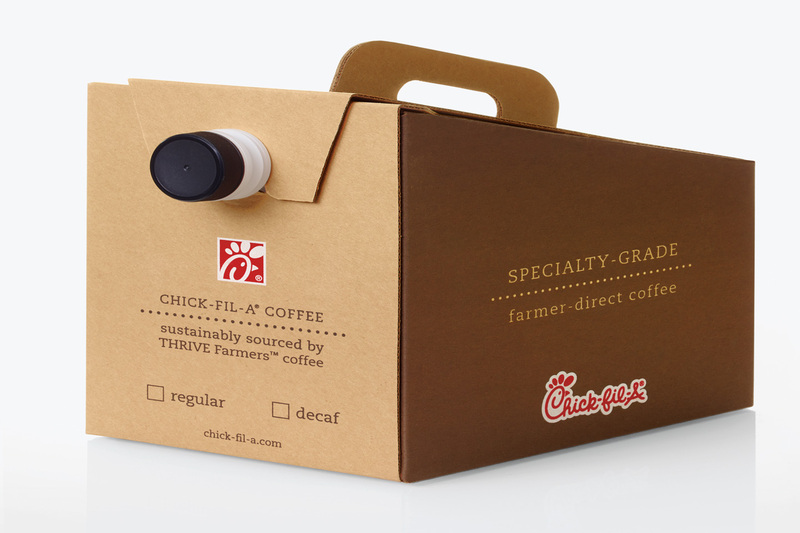 Chick-fil-A’s specialty-grade coffee is THRIVE Farmer’s Coffee, which pairs well with a Chick-fil-A Chicken Biscuit for breakfast. Be the hit of any morning meeting and kick start the day with coffee at your event. Eight middle school teachers who need a boost during an afternoon planning session (one 12-oz cup per teacher). This classic party starter comes in small, medium or large. 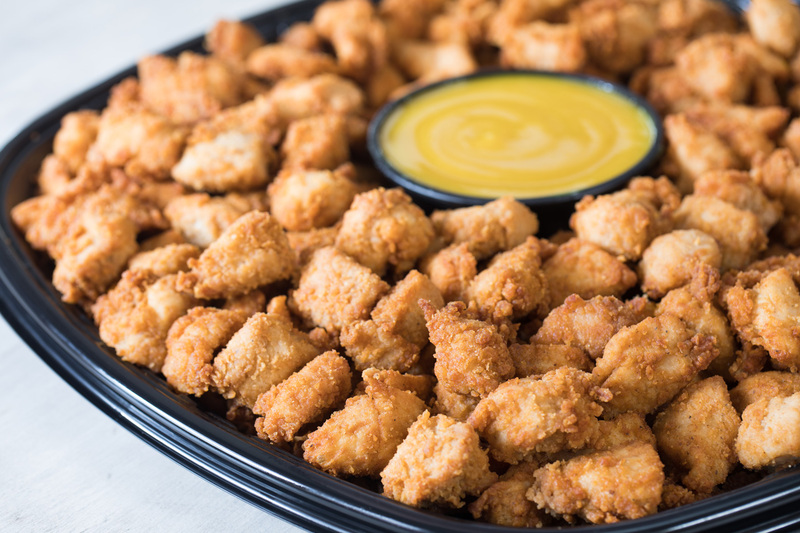 Popular with children (and adults) of any age, nuggets are a must at any party. These bite-sized pieces of breaded chicken breast go fast at any gathering! Serves 15 people at a book club (one medium tray) OR a high school football team with 40 players (two large trays). For your hungriest guests, the Chilled Grilled Sub will be a popular choice. Available only on the catering menu, the combination of marinated and thinly sliced chicken breast on a multigrain baguette with Colby-Jack cheese, baby greens and a sliced tomato will satisfy any craving. A family reunion with 30 people (one large tray) OR six college students at a late-night study session (one small tray). 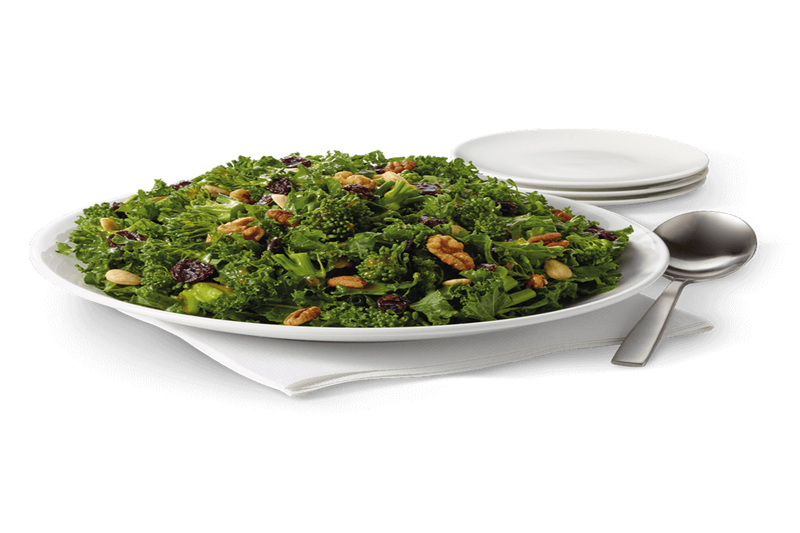 Because Broccolini® is the biggest thing since kale (and this side salad includes both! ), the Superfood Side will be a go-to for any health-conscious guests. Tossed in a maple vinaigrette dressing and topped with dried sour cherries and a roasted nut blend, this is the superhero of sides. Serves six moms at a picnic by the pool (one small tray) OR 12-member swim team celebrating after a victorious swim meet (one small tray). This menu item makes for the perfect snack at practically any gathering. 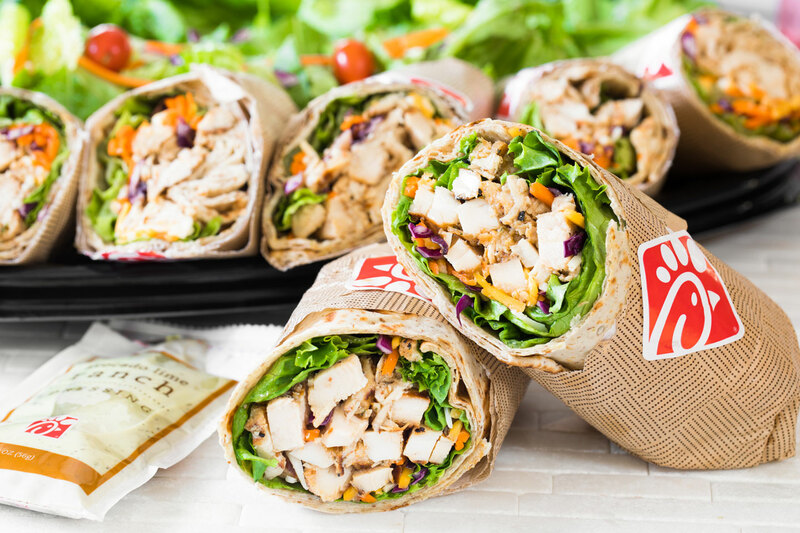 With grilled chicken, vegetables and cheese rolled in a delectable flat bread, you’ll be the coolest host around! Serves 12 people at a baby shower (one medium tray) or 20 moms at a Parent-Teach-Association meeting (one large tray). Chick-fil-A catering also offers packaged meals, beverages, one-serving sides and treats, salads and wraps, and individual entrees. 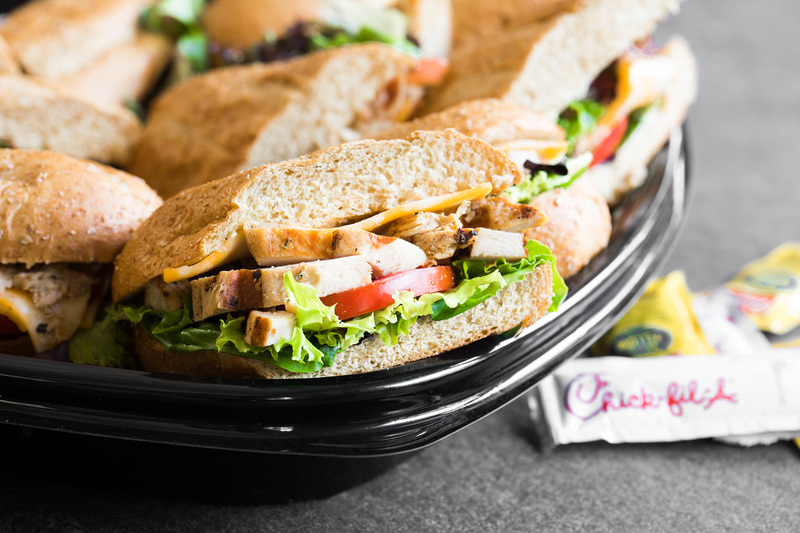 Learn more about Chick-fil-A catering here, and place an order for your next event today!